Announcement Ship times are normally 3-5 business days from time of proof approval. PLEASE WATCH YOUR CONVO'S If ordering an animal with birth stats. I can't begin your order until you have approved your proof. PLEASE DON'T HOLD UP YOUR OWN ITEM BY NOT RESPONDING. Communication is very important to keep things moving. Please put all of your requests in the notes to seller at checkout, and follow instructions in the listings. This will make everyone happy, and you will get the item that you want. In Business for over 20 years, The Country Club offers unique custom embroidery that we LOVE to create. We make every effort to purchase fabrics and embroiderable blanks that are different, and appealing to everyone. We also offer heat transfer, and sublimation, so if you need t-shirts, custom shirts, decals, or anything else created for an event, we will be happy to give you a quote. We started out originally with our bath and candles, (that's why everything smells so good). Good feedback is very important to us since we value customer service. Please remember to leave feedback when you are happy. Welcome, and enjoy your shopping experience! Ship times are normally 3-5 business days from time of proof approval. PLEASE WATCH YOUR CONVO'S If ordering an animal with birth stats. I can't begin your order until you have approved your proof. PLEASE DON'T HOLD UP YOUR OWN ITEM BY NOT RESPONDING. Communication is very important to keep things moving. 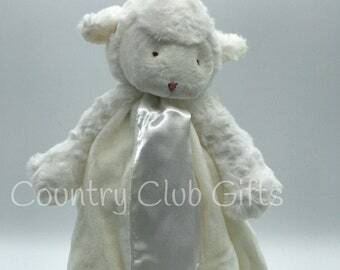 This was a gift for 11mth old baby girl.. her mommy says she loves it & chews on the ear :) well made & was packaged very nicely! I would recommend to others! FABULOUS EXPERIENCE WITH THIS SUPPLIER. CHOSE MY COLORS AND RECEIVED THEM ON TIME. WILL PURCHASE HERE AGAIN. THANKS FOR MAKING THIS AN EXCELLENT 5 STAR BUYING EXPERIENCE. Beautiful! 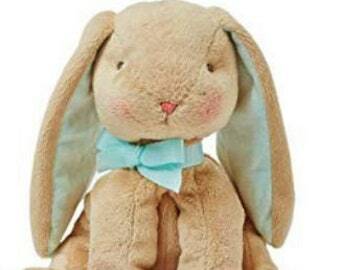 The rabbit is such good quality and incredibly soft. Can’t wait to give it to my daughter. 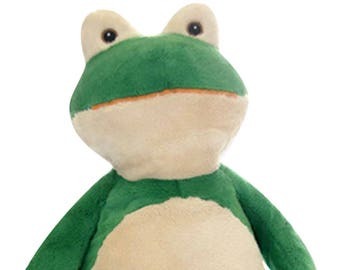 An Embroider Buddy for everyone. These make your photo shoots so memorable! 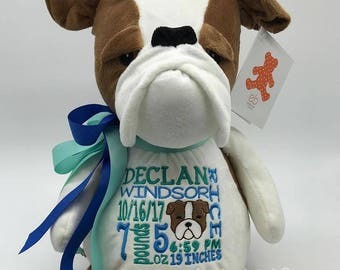 Perfect selection of first birthday, and special occasion embroidered shirts. 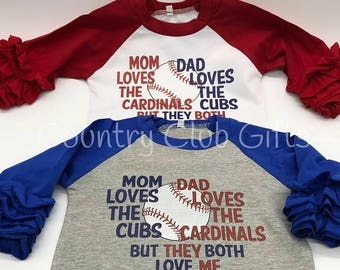 great little shirts for the sports fans!! 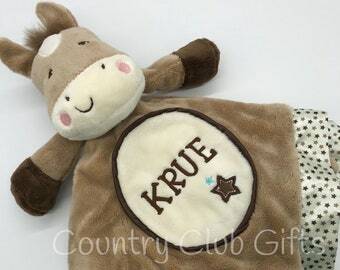 Personalized baby gifts galore! 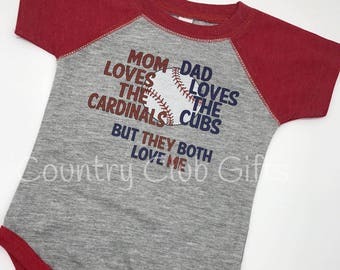 Sure to be the hit of the baby shower! shop on a sort of clean day! 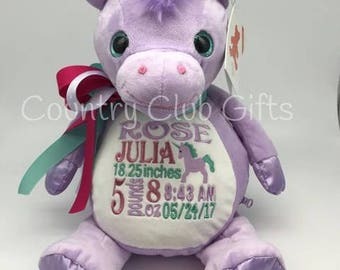 In Business for over 20 years, The Country Club offers unique custom embroidery that we LOVE to create. We make every effort to purchase quality fabrics and embroiderable blanks that are different, and appealing to everyone. We also do heat transfer, and sublimation, so if you need t-shirts or other unique items created for an event, we will be happy to give you a quote. We started out originally with our bath and candles, (that's why everything smells so good). Our bath products can still be purchased in our home shop. Ceramics and vinyl are other materials I love, so occasionally, you will see my ceramic creations showcased for purchase, or vinyl decorated items. Good feedback is very important to us since we value customer service very much. If you leave good feedback, please remind us during your next purchase to receive a FREE gift! Welcome, and enjoy your shopping experience! I embroider all of my designs on two fabulous 10 needle embroidery machines. I sew all day long, in between helping my hubby watch our 3 grandchildren. I love my etsy store as it gives me the opportunity to be creative, and have an outlet for my products. We closed our store at the mall to focus strictly on Etsy which is a fantastic opportunity. We have so many wonderful customers that are now our friends. We take pride in our craft, and offer only the highest quality products we have made with the finest fabrics and materials available to us. It is also very important to us that you receive your item in a timely fashion, so we ship as quickly as possible. Sometimes even the same day as ordered. If you are in a hurry for something, please let me know and I will do everything in my power to help.. Welcome, and enjoy your shopping experience! 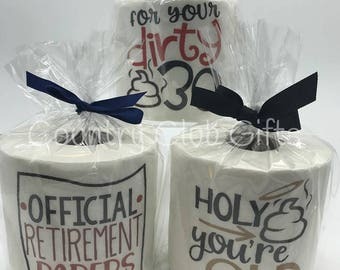 In business for over 20 years!! 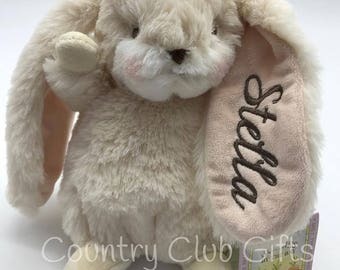 Country Club Gifts creates many personalized gifts. 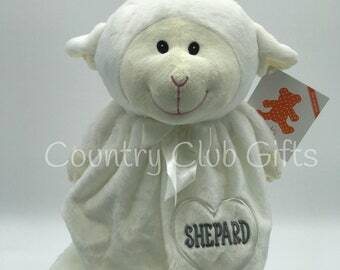 Stuffed animals with birth stats are our specialty, but we also offer baby quilts, little shirts, and other fun items.